Commissioner for Health and Human Services, Kaduna State, Dr Paul Manyan Dogo on Wednesday said, increased contraceptive prevalent rate (CPR) is capable of reducing maternal and newborn death rate by more than 30 percent. In Nigeria, statistics show that about 771,000 unsafe abortions and 13,000 maternal deaths can be averted when reproductive age women have access to and use modern contraceptives for family planning or child spacing. 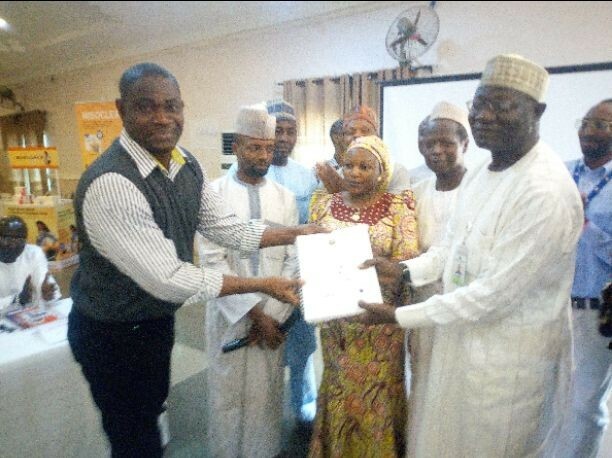 The commissioner, who stated during a week long training of Tier-2 Patent Proprietary Medicine Vendors (PPMVs) on family planning currently ongoing at a hotel in Kaduna said, when reproductive age women who want to access the family planning services have access to the services, it will improve the family health and inturn, increase the fortune of the society. According to him, “IntegratE is trying to proof a concept that we can actually be working with community pharmacies (PPMVs) to increase access of commodities that are used towards contraceptives. “This is falling back on task shifting policy we were also leveraging on. Previously, there are certain services only medical doctors are expected to provide which had prevented the needed population that requires the services. With that task shifting policy, others in the health sector are being trained so they can also provide the services in communities where they reside. Earlier, Project Director, IntegratE, Pharmacist Emeka Okafor said, the project which is co funded by Merck for Mothers and the Bill and Melinda Gate Foundation is currently being piloted in underserved areas of Kaduna and Lagos States which may be extended to other state depending on the outcome of the project in three years time. “These six-day intensive family planning training is therefore aimed at building the capacity of health trained PPMVs to provide an expanded scope of family planning services. “The trainees are expected to return to their health facilities fully equipped with the knowledge and skills gained to improve the quality of family planning services rendered in their communities”, he hoped.